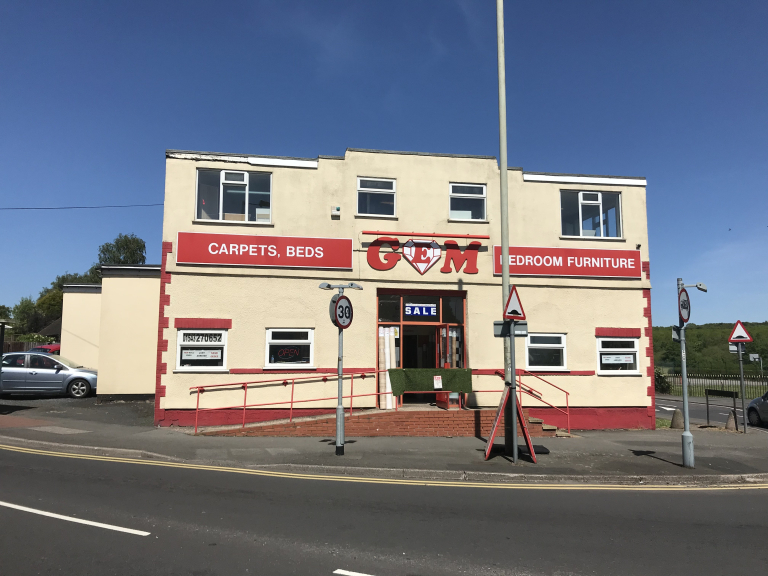 Gem Carpets & Beds are a family run business in Heath Hayes, Cannock providing a wide range of carpets, flooring and beds at great prices since 1984. Gem is an established family run, independent retailer of carpets and beds since 1984. 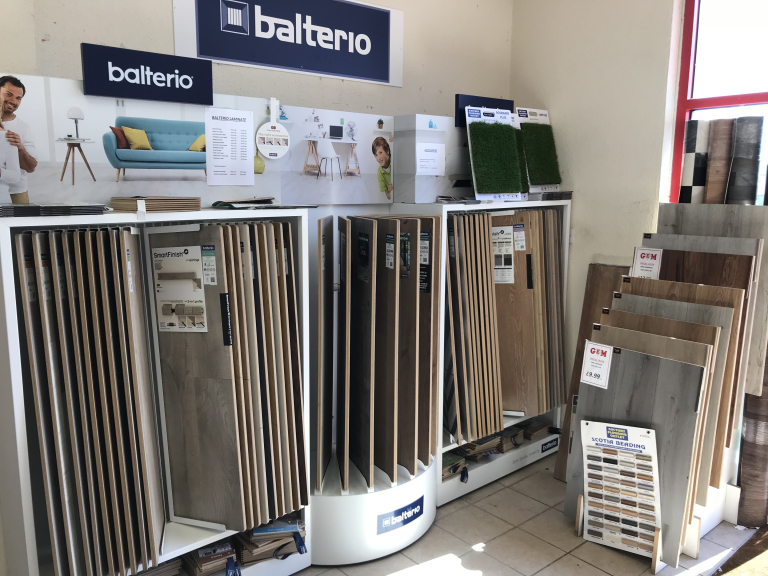 The Cannock store offers customers the chance to browse a wide range of products with helpful staff on hand to assist customers in getting the best product for their needs at the best possible price. 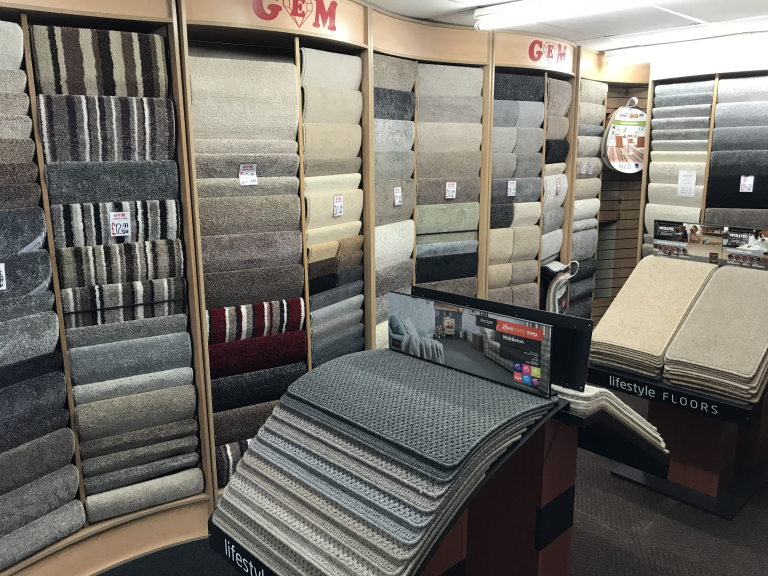 At Gem Carpets customers can choose from an enormous selection of carpets to suit any budget or specification. The range includes everything from luxurious 100% wool to 100% man-made carpets for unbeatable stain resistance and durability. All styles are catered for including plain, patterned, flecked, textured and more. 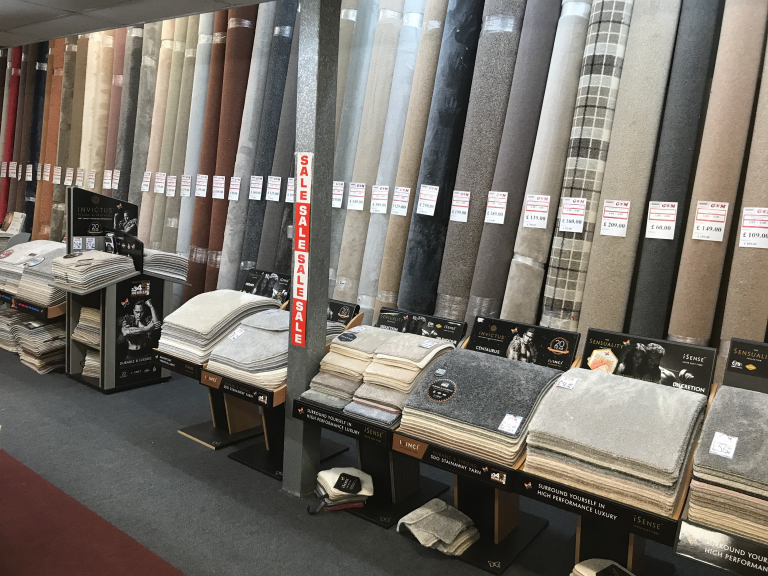 All the big names of carpets are stocked at Gem alongside own brand stock to ensure maximum choice and value for customers. Gem Carpets have a team of quality, reliable carpet fitters who complete the carpet fitting for carpets sold by Gem Carpets. The fitters are all experienced and customer focused to ensure minimal disruption for customers and a high quality finish. Gem Carpets provide free quotations and a measuring service throughout the Cannock area and beyond. Halls, stairs and landing are a particularly tricky area to measure, but a member of our team can measure this area for you to ensure accurate sizes for the best value. Free quotations are available and thanks to being an independent local specialist Gem prices are often considerably cheaper than those of National chains with significantly higher overheads etc. Gem Carpets have a wide range of roll ends in all colours, styles and designs that offer excellent value for money. Visit the Cannock showroom to see the range of roll ends to see the possible savings. Whatever the floor covering of choice for your home, Gem has high quality flooring at great value prices. The range includes roll stocks of vinyl flooring and Luxury Vinyl Tiles (LVT). These floor coverings provide a waterproof and hard wearing surface for kitchens, bathrooms and conservatories. Real wood and laminate flooring is a popular choice for all rooms in the home as it is hard wearing and adds a rich depth and visual appeal to a space. 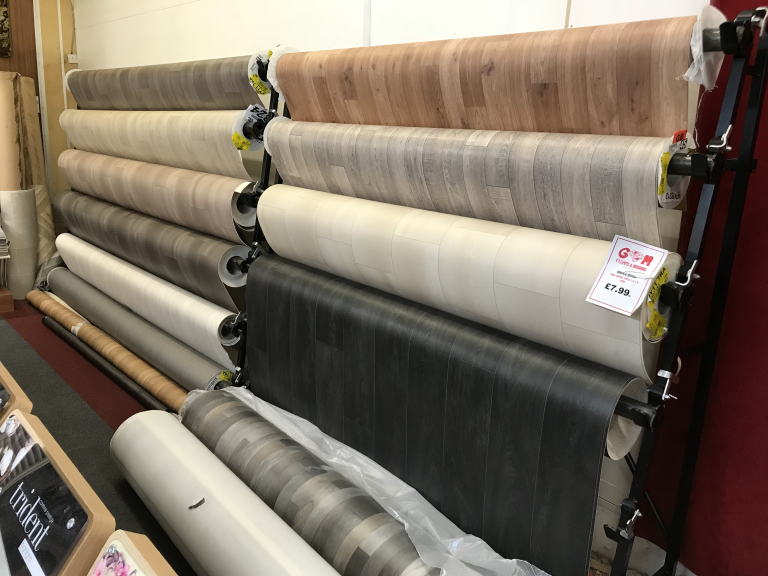 Gem spoil customers for choice with a wide range of laminate, real wood and engineered wood flooring; all of the highest quality. Gem offer a range of artificial grass to enable customers to create an outdoor space that stays green, usable and clean all year round. Artificial grass takes away the need for mowing, weeding and more. Visit the store to see and feel some of the artificial grasses that are available. Gem Carpets & Beds offer a range of beds including ottoman beds, divan beds and metal and wooden frame beds of all sizes. The range of mattresses available includes pocket sprung, memory foam, combination mattresses and those with orthopaedic qualities. Browse the range of beds at the showroom with additional sizes available for rapid delivery. Top quality brands available including Slumberland, Myers, Salus and more. Gem Carpets & Beds have been established since 1984 and have expanded in the local area. There are now Gem stores in Cannock, Rugeley, Walsall Wood and Lichfield.